RSS Icon In Awesombar is add-on for Mozilla Firefox which helps to bring back RSS icon in URL bar of Mozilla Firefox which went missing past Mozilla Firefox version 4 +. This add-on is developed by JasnaPaka. 1. Go to RSS Icon in Awesombar Mozilla add-on page, or simply click on the above download link and click on “Add to Firefox“. 3. RSS Icon In Awesombar installation box pops-up. Click “Install Now” to continue installing add-on, “Cancel” to abort installation. 4. 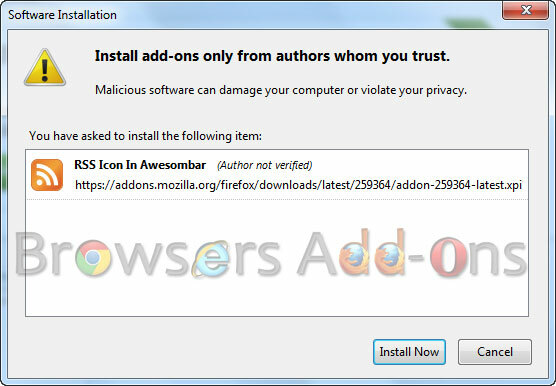 On successful installation, RSS Icon In Awesombar asks user permission to restart the browser. Restart the browser to activate the add-on. 1. 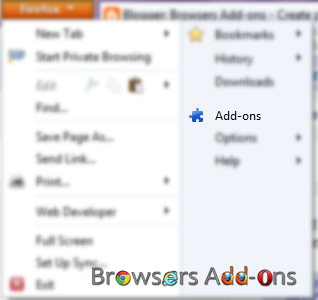 After successful installation of the add-on, you will notice RSS Icon in Mozilla Firefox URL like below. 2. Click on the RSS Icon will let you subscribe to feeds. See Also: Fetch and Subscribe RSS Feed Directly from Mozilla Firefox. Next story Get Gmail Notification with Message Preview in Mozilla Firefox with Gmail Notifier Addon. Previous story How To: Master/Factory Reset your Mozilla Firefox Browser.